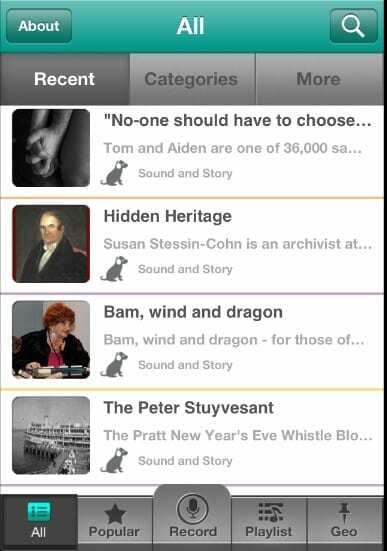 A new Sound and Story app is one component of A Year of Sounds and Stories: 365 Tales from Unexpected Places, a regional story campaign that aims to share, tell, and preserve the stories of everyday people in the Hudson Valley. 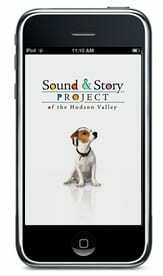 Using the app on your iPhone or iPad you can share your story while listening to new and archival stories from the Hudson Valley. 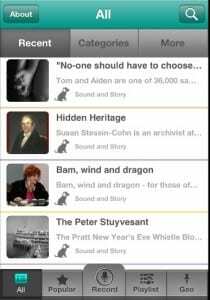 Community members and organizations can join A Year of Sounds and Stories by downloading the Sound and Story app, submitting new or archival stories, hosting The Cube, and listening on Facebook and Twitter (#365tales). Visit http://www.soundandstory.org/yearofstories.html for information about the Sound and Story App, A Year of Sounds and Stories, and events taking place around the region.